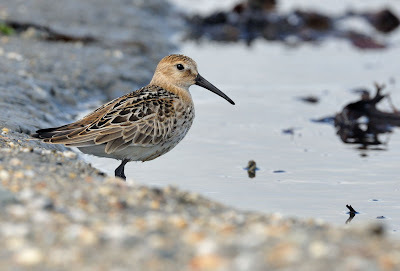 This first year Dunlin image was taken on Sunday morning at the Red River on Marazion beach. 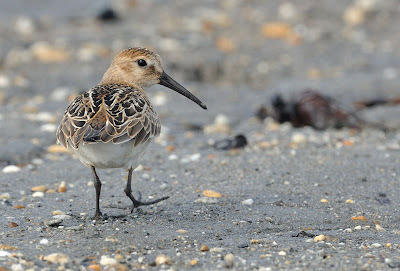 The waders were particularly attracted to the rotting seaweed. The morning session was the best I have had for several weeks - everything fell into place; the birds were tame and more interested in feeding and the light was just stunning. There's something about the intensity of light on the south coast in the morning which is hard to beat. EXIF Detail: Aperture priority. Ap F/9. Shutter speed 1/400s. Exposure 0.0 EV. ISO 400. White Balance set to Cloudy. Matrix metering.